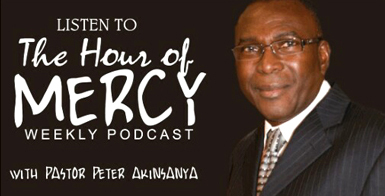 At House of Mercy, you will experience the love and compassion of Christ; sound teaching of the Word of God; room to develop and grow your gifts into your God ordained potential; opportunity to serve and be a blessing to your family and the community at large. Please feel free to enjoy our online resources. We look forward to hearing from you and better still seeing you at any of our services. Our contact information and Church address is detailed below. Should you have any concern or prayer request; kindly contact us and let us counsel you with the wisdom of God and pray along with you for a Supernatural intervention of God in your situation. Nothing is impossible to our God! We invite you to worship with us this week or anytime; House of Mercy: Worshiping God, Loving People, Growing together! Our Vision is to be a multicultural church, relevant in the community and to sustain growth in all facets of church life. Worship is an important part of life changing gospel. A worship service is incomplete without a time of praise and worship. At House of Mercy, DC, we enjoy inspiring worship time with contemporary and classical in praise and worship songs and special songs. It is always an uplifting experience. We encourage and invite you to come an experience the awesome presence of God in one of our Worship services. Praise is not just what we do, it is a lifestyle. 1.Outreach: To communicate God’s word and bring people into the saving knowledge of our Lord Jesus Christ (Matt.28:18-20; Mk.16:15). 2.Worship: To live in the light of God’s presence and to celebrate God’s presence in singing, praying, giving, hearing and sharing the Word of God together as believers (John 4:23-24; 1Cor.14:26). 3.Fellowship: To care for one another as a member of the family of God (Eph.2:19; Eph.6:2,3,10; James 5:16). 4.Discipleship: To educate God’s people to know their positions and privileges in God and thereby grow into maturity/perfection (Eph.3:11-16). 5.Service: To demonstrate God’s love by serving others (Rom.12:6-8; Gal.5:13). We are committed to the Great Commission, not just in name, but in practice. Our mission statement is to reach our community with the holistic gospel of Christ, by every means possible, with the aim of restoring humankind to a fulfilled purpose in God. Sharing the good news of the power of God to deliver human beings from sin and its consequence is our primary outreach goal. To this end, we reach out to the unchurched; we visit prisons, hospitals, schools and sport arenas, displaying the kindness and mercy of God. We collaborate with Capital Food bank, with the purpose of feeding the homeless and the needy in our community. This is done monthly as part of our outreach program. We are totally committed to the Great Commission! 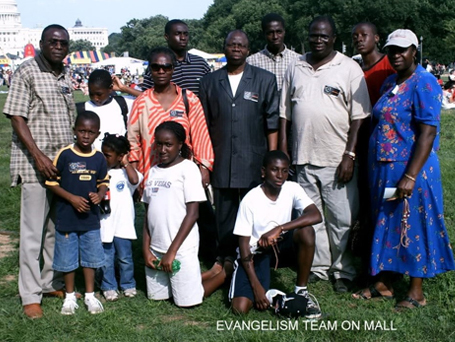 In fact, Washington DC Metropolitan is our Mission field. This is why we are committed to interacting with the community regularly. In addition to cookouts and Health Fair, we distribute bread to those who needs it, and we help the homeless. As the work progresses, especially when we have our own permanent place of Worship we will be able to do this mission work on a larger and broader scale. Some members at the Washington Monument Mall for Outreach on 4th of July. Fourth of July Cookout, Free food, drink and music for the Community Outreach. 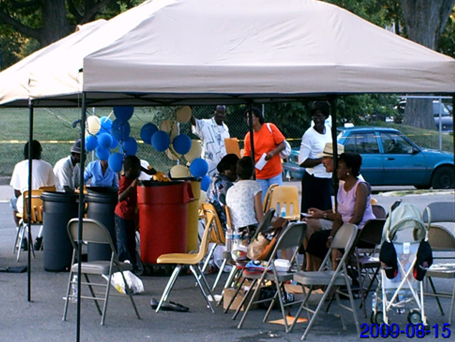 Annually in the summer, we do health fair, during which we provide free health and vision screening to the community. please click on the link below. In case you have any question, comment or suggestion, please click the link below for contact information. You may also email us houseofmercydc@gmail.com or call us at 202 344-0465.